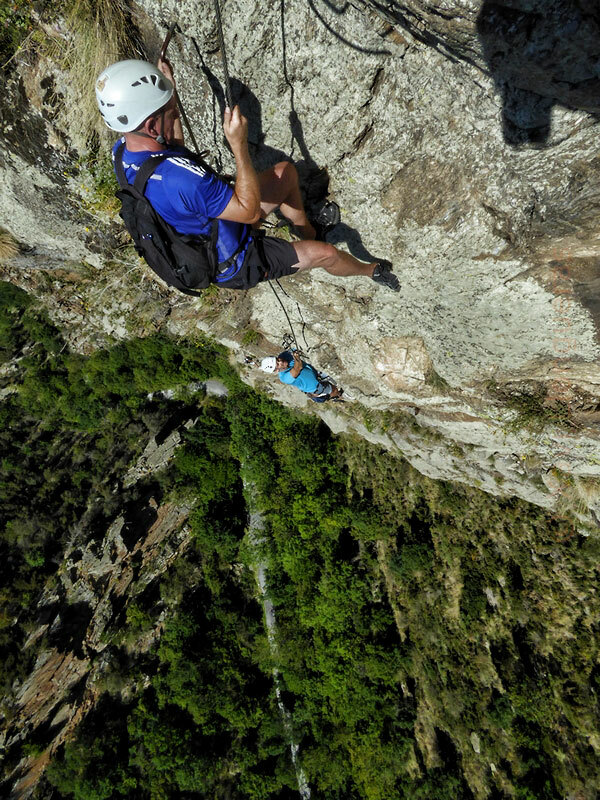 Without the technical level required for climbing, via ferratas make you able to go up through a vertical wall linked to a life wire that lets yourself control your own safety, apart from being directly attached to your guide with a rope. 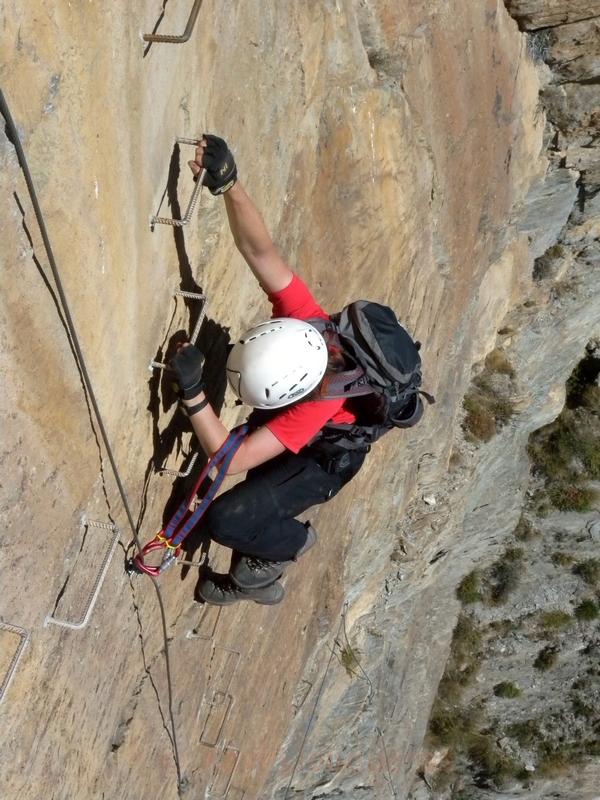 A via ferrata is a vertical itinerary equipped with material such as nails, chains, sockets, cables, and a life cable where your security system passes, which will allow you to climb a vertical wall and difficult to access if not is because of the artificial means. 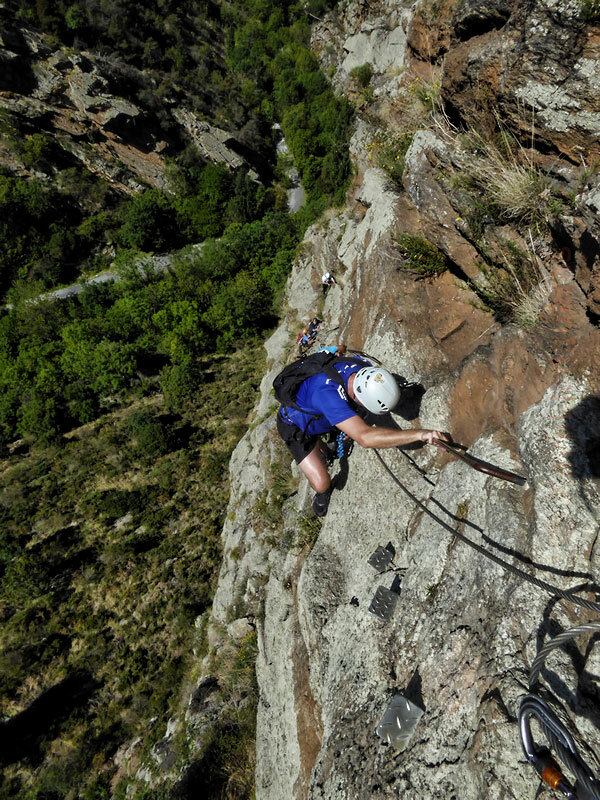 Oliana, Andorra’s ferratas, or any place in the Pyrenees as well as in the Alps or Dolomites. We put together a whole weekend. 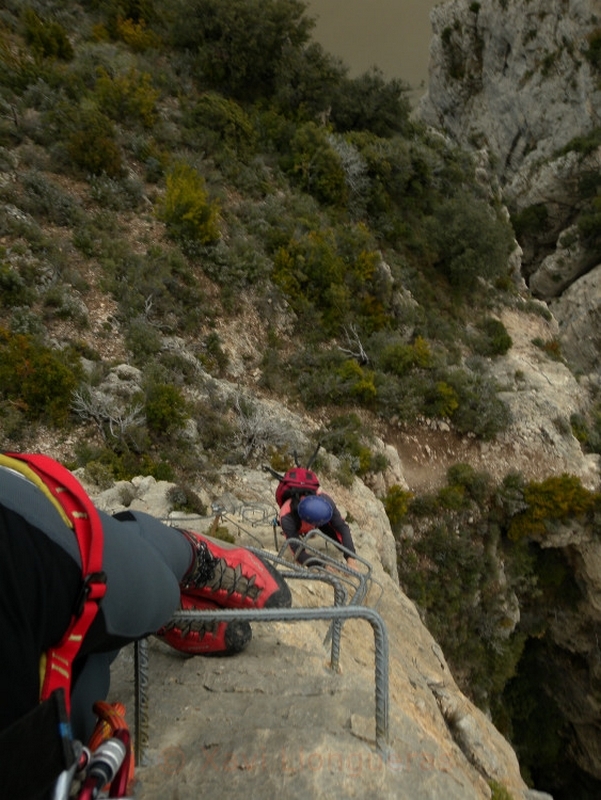 We take care of looking for a refuge or hotel, book the reservations, and we will guide you safely for the ferrata you want to climb! This activity may be as many days as you like. 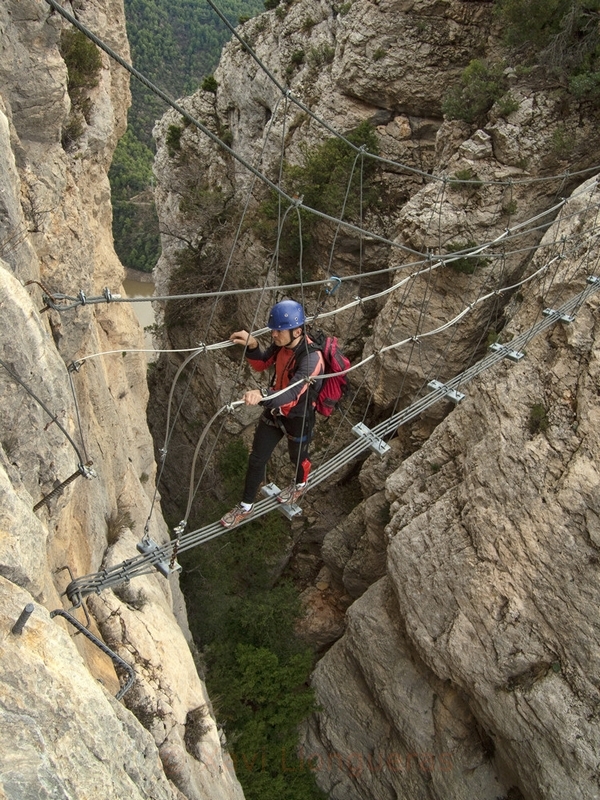 Ask for a budget for your days of ferrata! 180 € to 220 € / day divided among the group members. 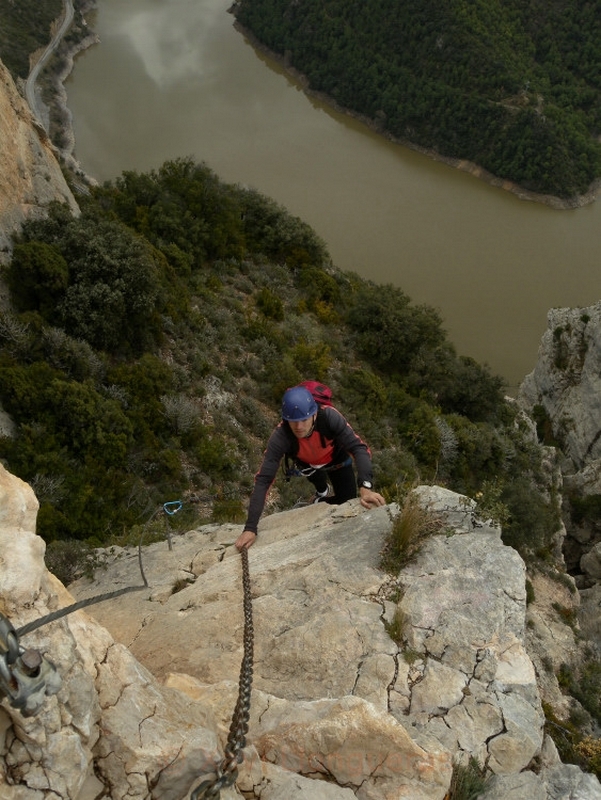 It will depend on the duration of the ferrata. 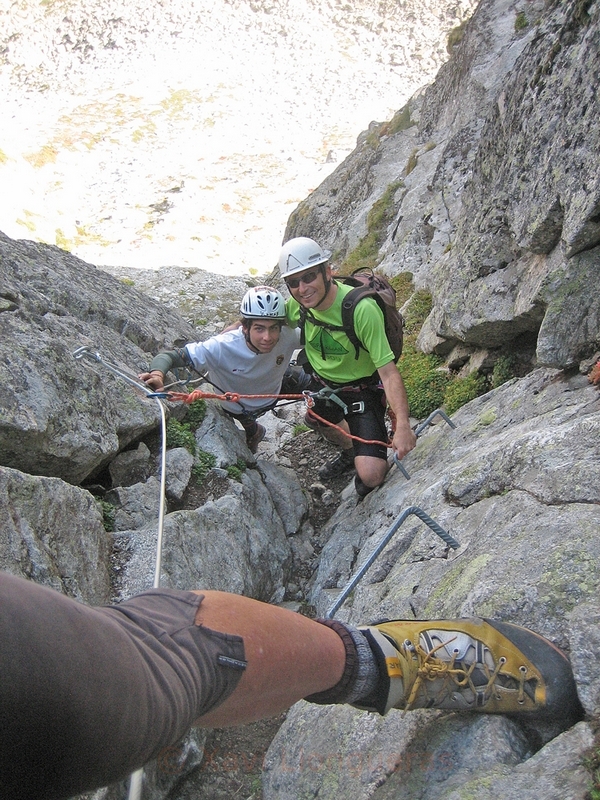 The service of a High Mountain Guide UIAGM. The mandatory RC and activity insurance. 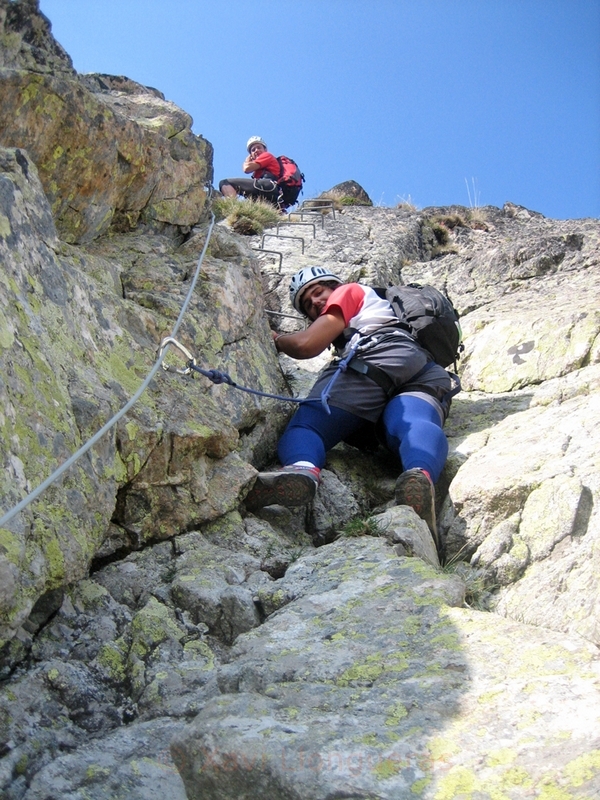 It does not include personal material such as the helmet, harness, but we can provide it. Level: We adapt to your level! Price: Ask for a budjet!